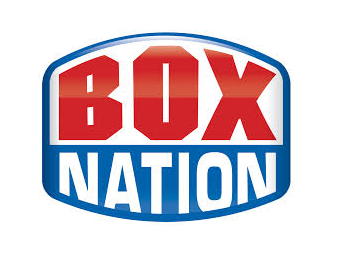 A placeholder for boxing channel BoxNation has appeared on Freeview. The channel will be joining a growing number of services distributed via the internet to households with connected Freeview devices. The service, which is coming soon to Freeview channel 255, is a dedicated 24 hour boxing channel, originally launched in 2011 and operated by Boxing Channel Media and promoter Frank Warren. Already available on a number of pay TV platforms in the UK, Sky viewers pay £12 a month, plus a £8 registration fee for the channel, Virgin Media users pay £10 a month and its £12 a month on TalkTalk. Pricing, alongside a launch date for the Freeview EPG version of the service is yet to be announced. The service is being launched on the platform in conjunction with Arqiva's connected TV division. BoxNation joins a host of other services that are being streamed via the internet to homes with compatible connected Freeview HD, Freeview Play and YouView receivers and are available in a section of the Freeview EPG located between channels 225 and 299. Some services, such as Vintage TV and Showcase TV are free, while viewers can elect to pay an additional fee for channels such as South Africa's kykNET and Japan's JSTV. While the pay TV services are not free-to-view, it continues a long tradition of a small number of optional pay TV services being broadcast alongside free-to-view services on the platform, albeit now distributed online instead of taking terrestrial bandwidth. A preferably unlimited broadband connection of at least 2-2.5 Mbps is usually recommended for these services. Yet when does the channel start. We're still awaiting information about the launch date.